Time to update your swimming costume? 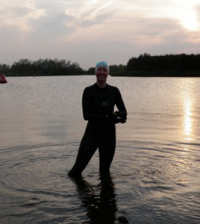 Maybe you are training for a triathlon or taking in part in the Swimathon charity event? Check out Sportsister’s top swimsuit picks for training or competing. You are spoilt for choice when it comes to great new swimsuit designs this spring/summer, with strong bold graphics definitely the key trend. All over prints are really popular, but if that’s too ‘look at me!’ then why not opt for a more subtle stripe or placement print? And for those of you who prefer a two piece we have chosen three of the best tankinis in the shops right now. With added support, chlorine resistant fabrics and a large range of cuts and fits, there is sure to be the right suit for you. This powerback swimsuit has been made with chlorine resistant Endurance+® material. 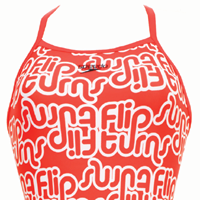 With a high leg height it features an all over eye-catching and colourful spiral design and is an ideal swimsuit for racing and frequent pool use. Perfect for laps, thanks to its chlorine resistant fabric, flatlock seams and exceptional durability. Shown in Black/Red, also available in Black/Pink. Thanks to the CR25TM fabric this suit will last for over 750 hours in the pool and the dynamic graphic won’t distort either. Not for wallflowers, this bold all over tartan print will ensure you stand out at the pool. But thanks to the leaderback style and cut it’s ideal for racing. It’s certainly not the cheapest option in the market but it is a flattering and well made option if you are looking to splurge. The suit has an inner shelf bra and adjustable straps offering you good support. Colour contrast piping adds a nice design touch and the fabric is both chlorine resistant and quick drying. Perfect combination of fashion and performance, ideal for those who don’t want function to mean a compromise on style. This flattering square neck swimsuit has bust support and has been made using Speedosculpture® fabric technology which sculpts your body. It has a U shaped back that gives good rear coverage and wide straps that offer good support. High leg swimsuit with colour contrast side panels. A classic choice for both training and competing. Racer back performance suit is ideal for competing. The Durafast material ensures it will last in chlorinated water and has a UPF50+ rating. V neck top with built in support and colour contrast racer back straps. Matching boy leg shorts are a flattering fit. The chlorine resistant CR25TM fabric lasts up to 25 times longer than conventional fabrics. Teams the brand’s leading sports bra technology with performance swimwear to create the ultimate triathlon sports bra, reducing breast bounce by up to 74%. Also available in a one piece and a crop top and regular brief. This tankini has built in bra support in the racer back vest, while the brief has a low rise cut to flatter most shapes. The fabric is both chlorine resistant and has UV protection. We love this range of swim hats from Maru in a great range of bright colours and well priced too. Choose one to match, or clash, with your suit! 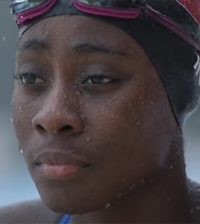 Look out for Sportsister’s upcoming feature on goggles and a swimming training plan.